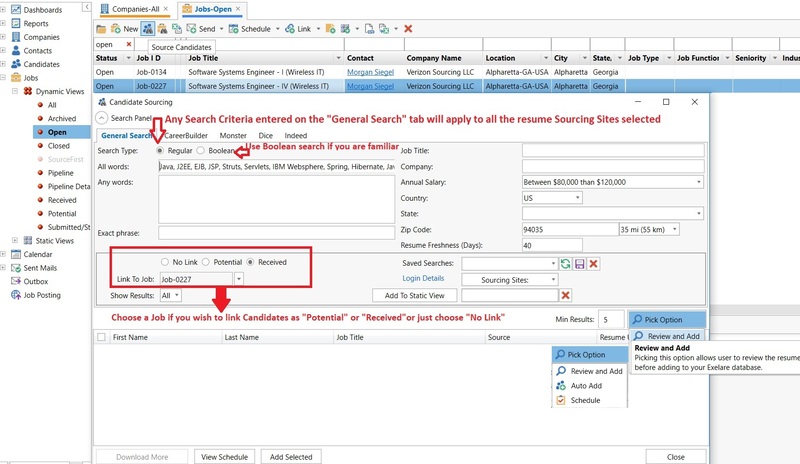 Our powerful, single window - Candidate Sourcing feature allows you to search your internal Exelare Database while simultaneously searching external resume boards such as CareerBuilder, Monster, Dice, TechFetch & Indeed. Results are returned as a "Preview" from each site, allowing users to choose which resumes to view and which to ignore. If you have resume view limits associated with the accounts for any of your resume job boards. This would help you to manage those views effectively, providing the user with a single interface for sourcing resumes (no more back and forth between resume boards, do not need to use different tabs, different browsers, you can avoid swapping between the different windows). Candidate Sourcing currently supports: CareerBuilder, Monster, Dice, TechFetch & Indeed. Other sites may be added in the future, based on client requests. 1. Open Exelare For Windows and Navigate to the Jobs section (folder). NOTE: It makes more sense to source resumes/Candidates from Jobs section though not mandatory. As an recommendation, if User sources resumes from Jobs section, he or she would be able to link the sourced resume(Candidate) to that particular Job directly. User can also source from Candidates section. 2. 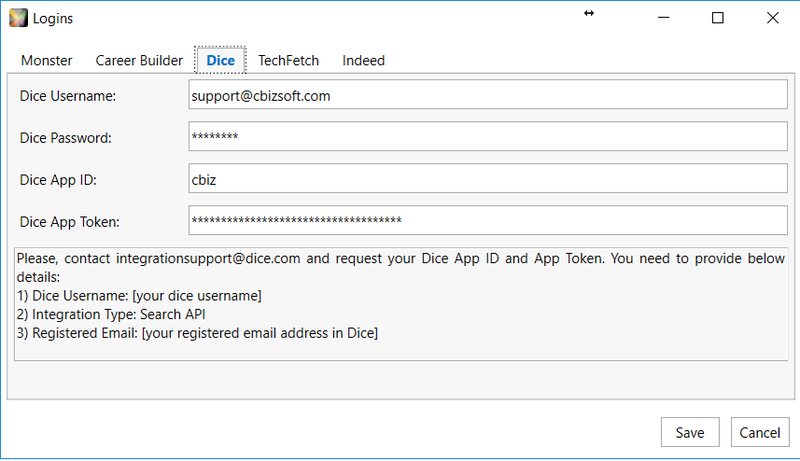 Choose a Job to which User wish to source resumes from different Job boards (like CB, Monster, Dice, TechFetch or Indeed) you have account/subscription with. 3. Now Click on the Source Candidates Icon. 4. A new Search Panel window will open, where User can enter your search criteria either for Regular Search or Boolean Search. If you use Regular Search, User can use the available search fields (All words, Any words & Exact Phrase). If you use the Boolean Search Option, User can enter full Boolean Strings in the new search box. Please refer: Exelare Boolean Operators Cheat Sheet. 5. 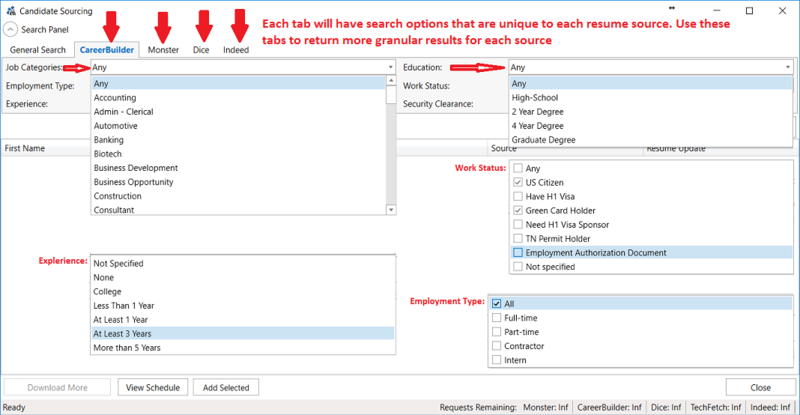 Any search criteria entered on the General Search tab will apply to all of the resume sources you have selected. To search for exact phrases, please wrap the phrase in quotations. E.g. "Business Development" or "SQL Server". a. All words: Please use comma to separate your search criteria else the words will not be highlighted correctly while viewing resumes. b. Any words: Please use new line to separate your search criteria else the words will not be highlighted correctly while viewing resumes. 7. 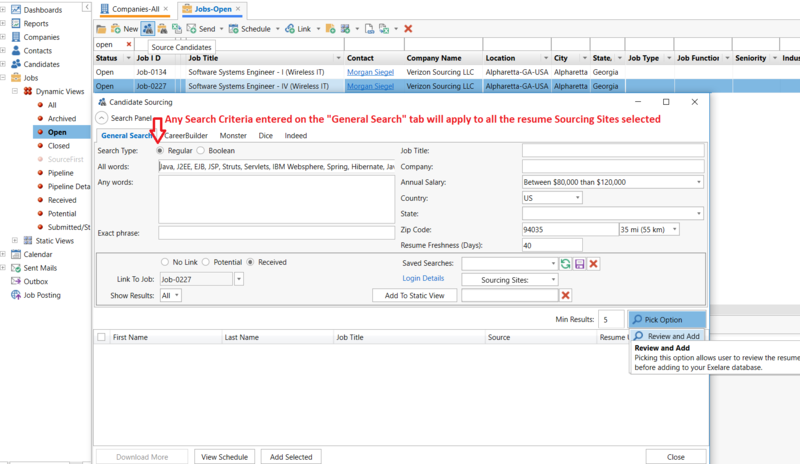 User can also search with other fields like Job Title, Company, Annual Salary (select from pull down), State (choose one more States from pull down), Country, Zip Code (enter Zip Code & Zip distance also), Resume Freshness (days) on the General Search tab to expand the search criteria. 8. Link results to a Job (recommended though not mandatory) - If you wish to link Candidates you source to a particular Job, choose the appropriate Job from the look-up menu and then choose whether to link them as Potential or as Received or No Link. 9. Use Show Results to choose resumes to view from a particular Job Board you selected here. 10. Login Details: Click on the Login Details button and enter your login credentials for Job boards you have account with. 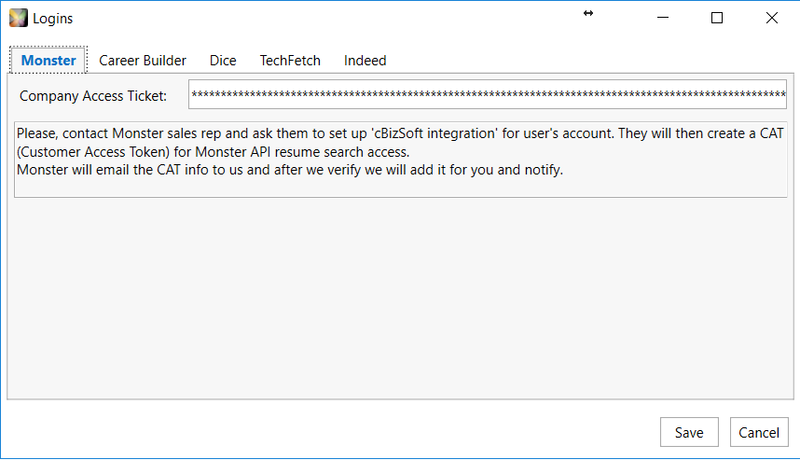 Monster: For Monster you need CAT (Customer Access Token) string for Monster API resume search access. 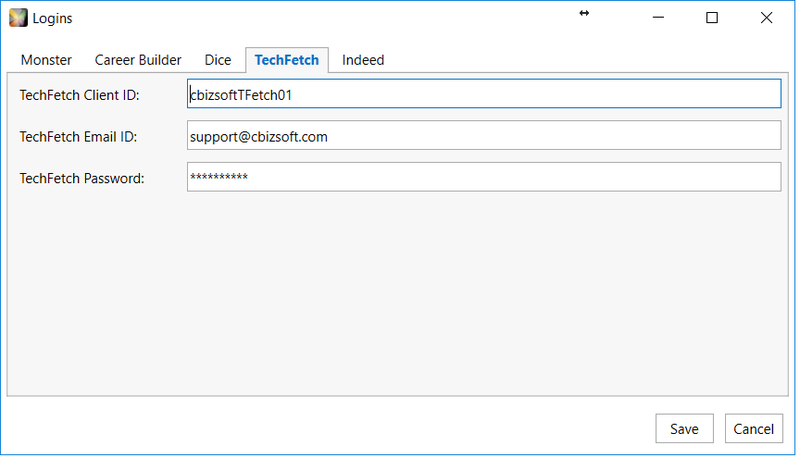 Once you enter the login credential details click on Save button. 11. 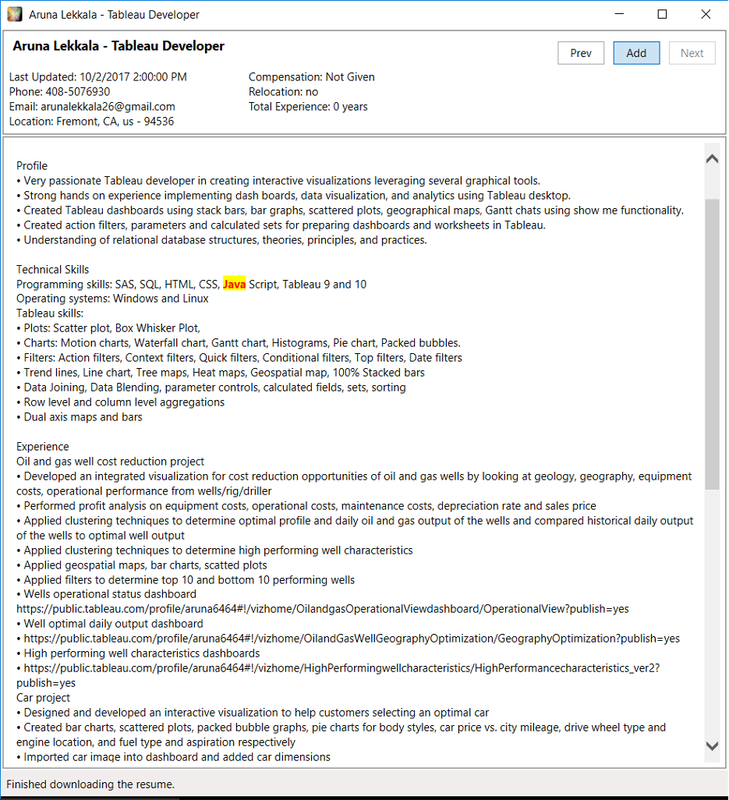 Add To Static View button helps to add these sourced Resumes/Candidates in to Static View which is already been created. Please refer: Creating Static Views ( Saved Lists). 12. Max Results - By default the value is set to 5. Feel free to change based on your needs. It is recommended to pull back smaller amounts of resumes at a time, ideally 5 or 10. 13. Use the Show Results button to filter which results you want to see from which resume sources. For example if you wish to see only the results from Monster, ensure only the Monster check box is selected. 14. Download More button allows User to download more resumes based the Max. Results and View Schedule button will give a list of all the scheduled jobs either "one time" or "Daily Recurring". 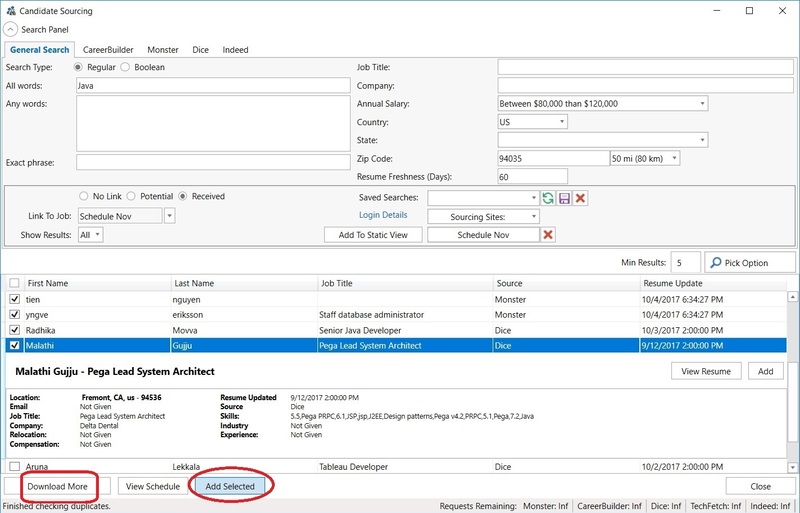 You can use Remove, Save buttons to the scheduled Jobs or Close button to close the Schedule window. 4. Initiate Search by choosing "Review and Add" or "Auto Add" or "Schedule". 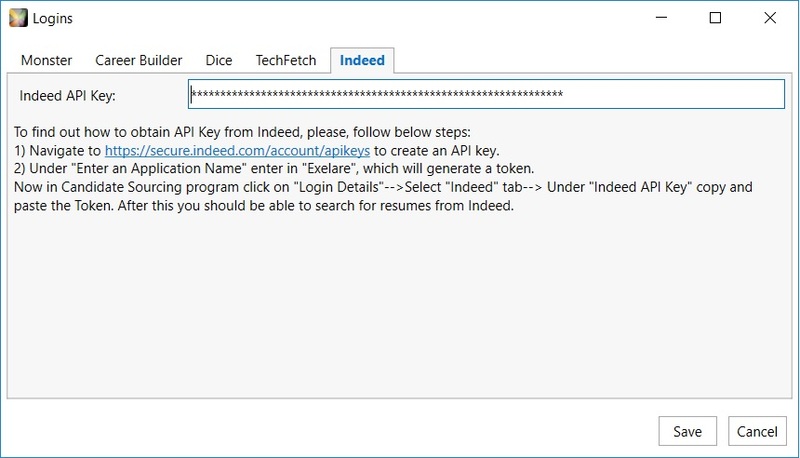 Review and Add: Choose this option allows User to review the resume before adding to your Exelare database. 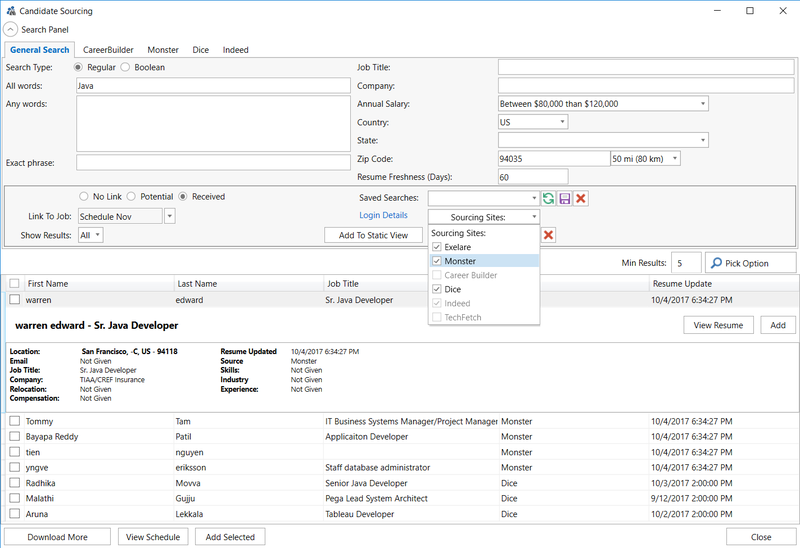 Auto Add: Select this option will automatically add resumes to the Exelare database. Schedule: Use this option, by default, schedules the search to be run in the next one hour. However, User can click on the "View Schedule" button and make it a Daily Recurring search by checking the check box. 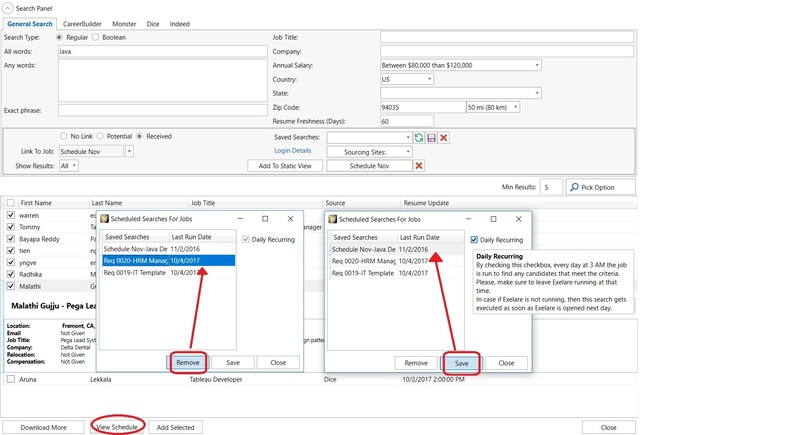 By making it Daily Recurring, it is going to keep adding resume on a daily basis automatically untill the Job is Closed, Archived or Deleted in Exelare. 15. User will now see candidates returned from all the sources you have selected, including your internal database (Exelare). This way you can compare resumes found online and resumes you already have. 16. As you go through the results, simply click on "View Resume" to view the full resume of the candidate. Once you click on View Resume button it counts as a view/click, just as if you were on the resume board itself. To add the resume to your database, simply click the "Add" button. 17. 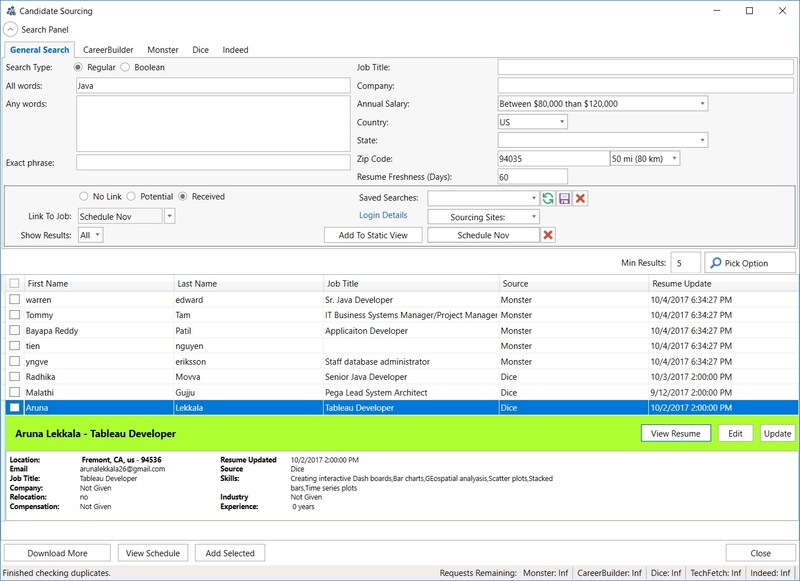 If any resumes already been added and exists in your Exelare database, will be highlighted in "Green". 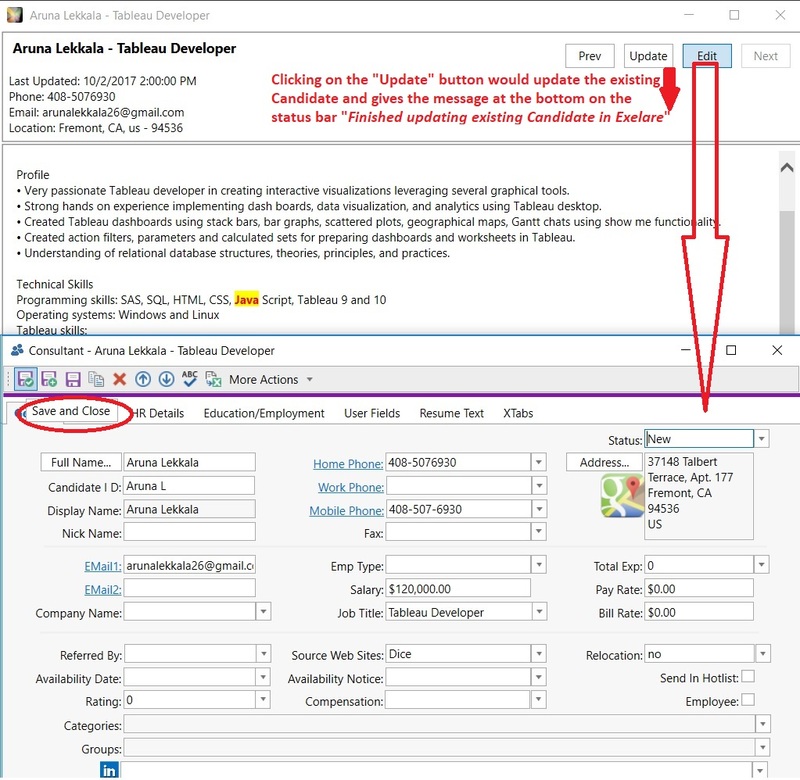 You would also see an Update or Edit button allowing you to directly update or edit the candidate that already exists in your database. "View Resume" would open resume window and gives the option to "Update" or "Edit" after viewing the resume. 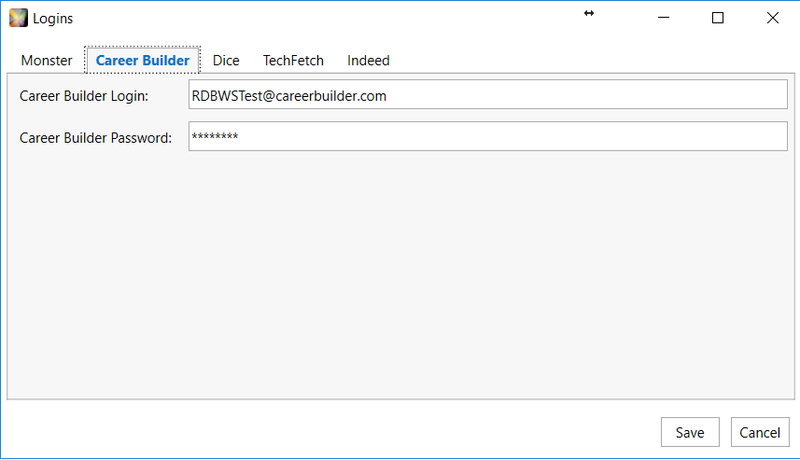 "Edit" opens the Candidate details window, where you can edit the Candidate details like Email, Address, Home Phone, Direct Phone, Mobile Phone etc. "Update" button would update the existing candidate in your Exelare database. 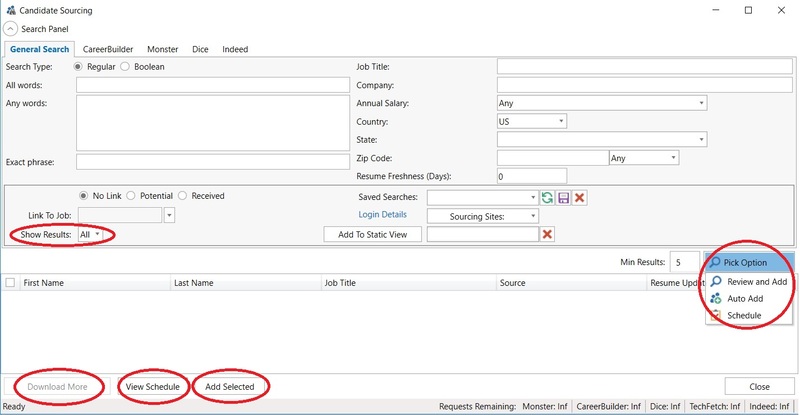 "Add Selected" button at the bottom: If you wish to add resumes in bulk, please check the boxes(check mark) of the desired candidates and hit "Add Selected" button. "Download More" button in the left bottom allows you to download more resumes checking the duplicates.